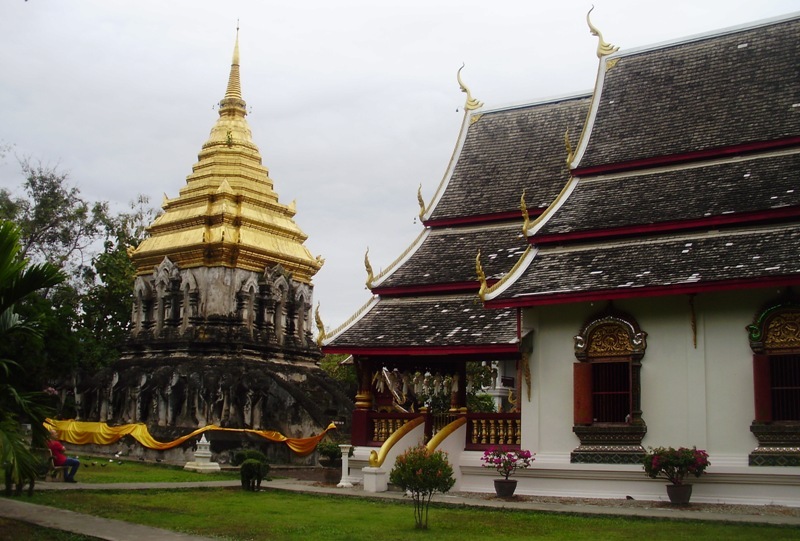 North Thailand and Chiang Mai are known for the temples. 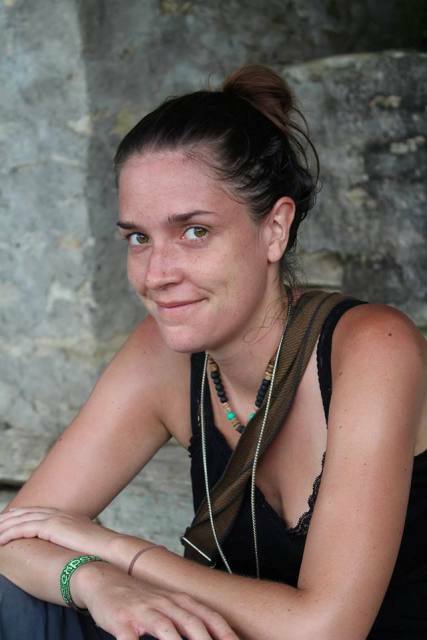 Many people think that temples are only thing to see in northern Thailand, but that’s not true. 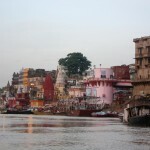 I split visiting temples onto separate days so I wasn’t overwhelmed by them, and in the meantime I visited other things. Before heading to north of Thailand, I chose 9 most beautiful temples in Chiang Mai I wanted to see and explore. 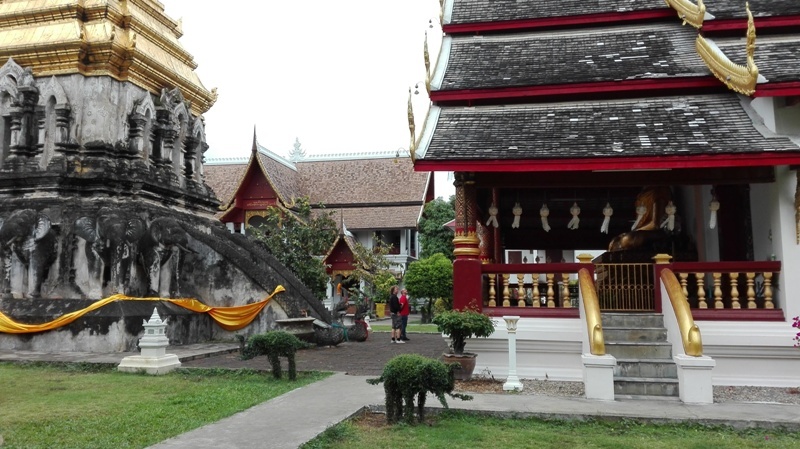 Wat Chiang Man is oldest temple in Chiang Mai and is situated inside the Old Town of Chiang Mai. 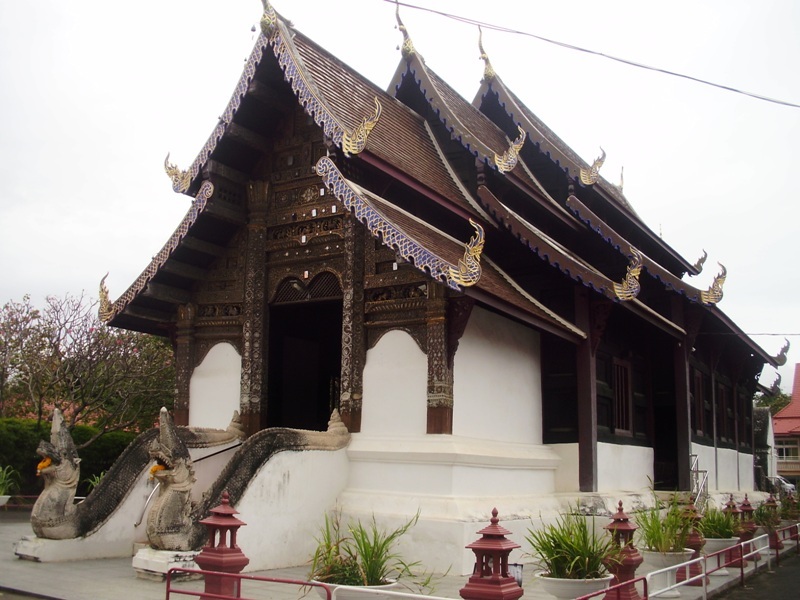 This temple was built by Mangrai in 1297 CE and was the first temple of Chiang Mai. I liked this temple, because of rows of elephant-shaped buttresses. 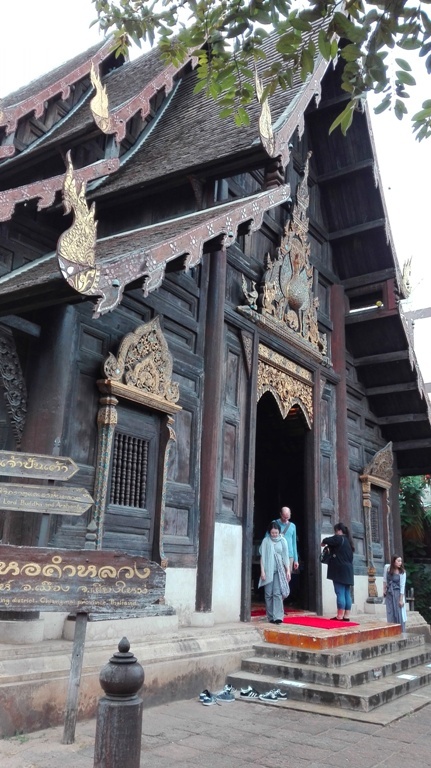 There are many beautiful temples in Chiang Mai and Wat Log Molee is certainly one of them, because it is made from teak wood. 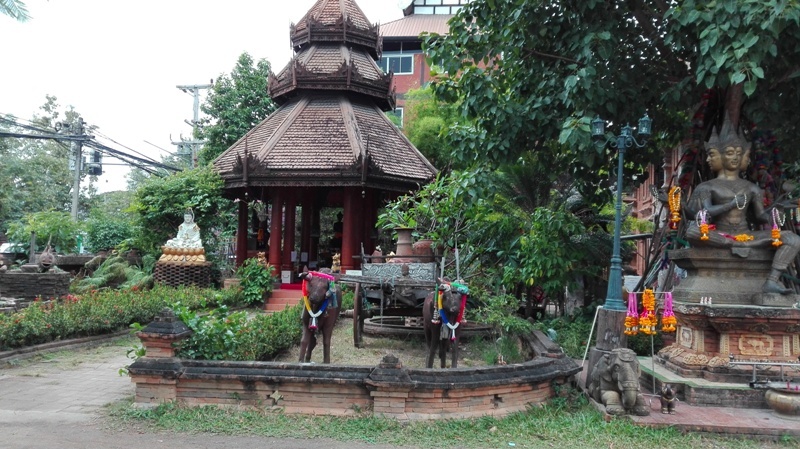 The temple is situated outside of old town about 400 meters west of the Chang Phuak city gate. 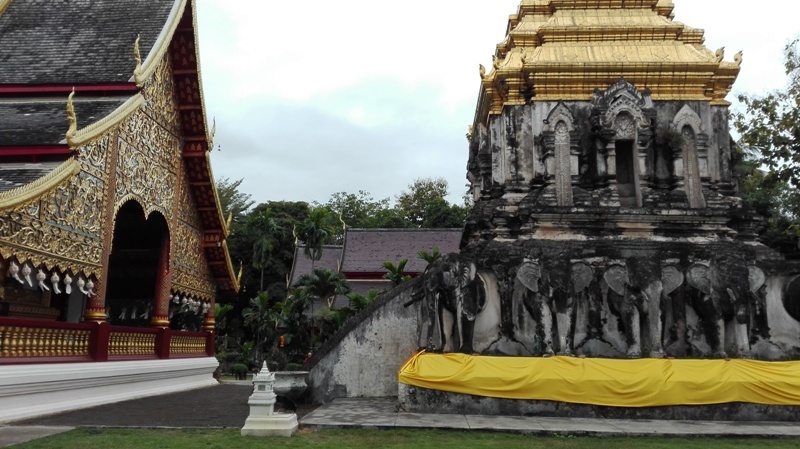 This temple holds one of the largest and most impressive chedis in Chiang Mai, which contains the ashes of several Kings of the Mengrai dynasty. It’s very quiet place and you feel at peace even though it is on a busy road. 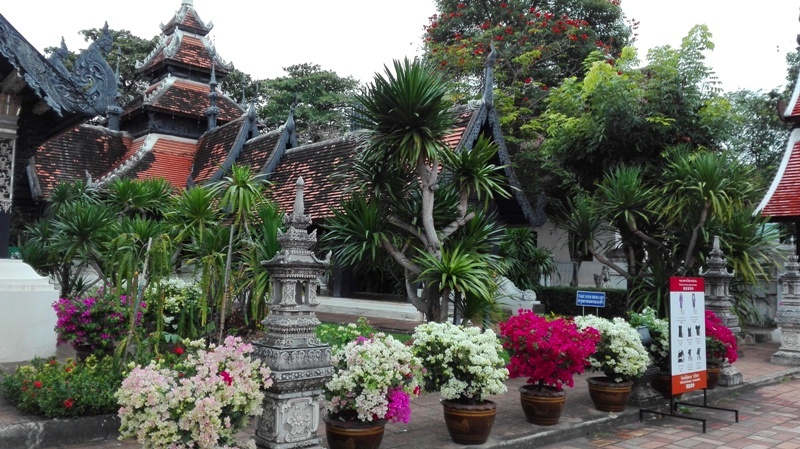 Wat Prasat is small temple located on Intawarorot road inside the old town. It contains ordination hall, a prayer hall and two pagodas. 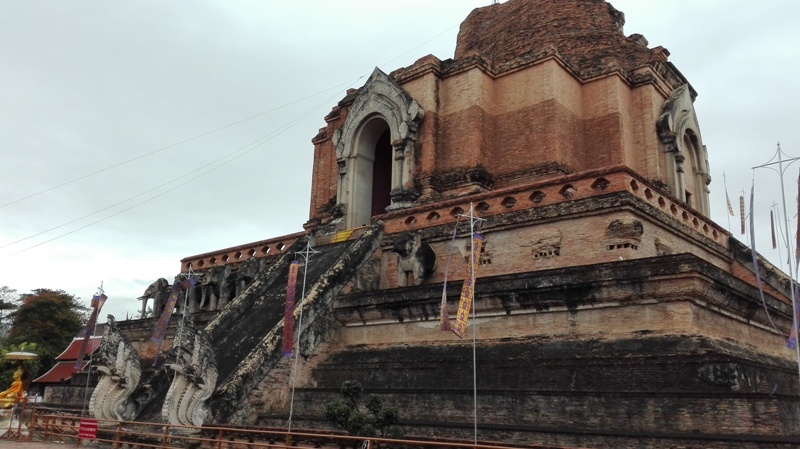 The stairs leading to the entrance of the viharn contain large mythological snakes that guard the building. 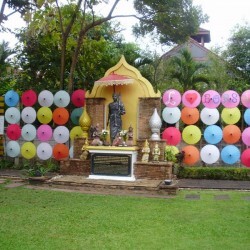 A unique feature of this temple is the short tunnel which starts at the center of the back wall connects the viharn to the chedi behind it. Pagoda of Wat Chedi Luang was built sometime between 1385 and 1402. At its peak, the pagoda measured 60 meters across at the square base and 80 meters tall. Temple was damaged during an earthquake in 1545, and its height is reduced to nearly half of its original size. 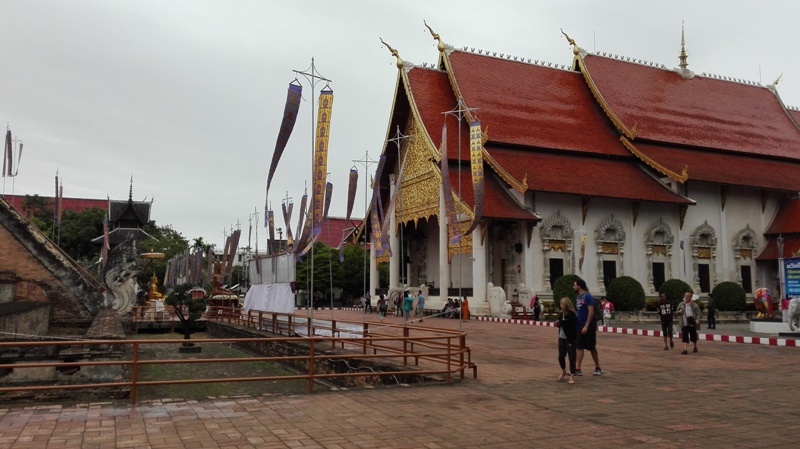 This temple was once the home of the Emerald Buddha, which is most sacred religious relic in Thailand. It is located in the centre of old town. Wat Phan Tao means Temple of a Thousand Kilns. 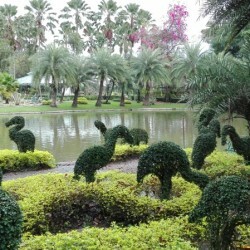 It is situated just next to the Wat Chedi Luang. 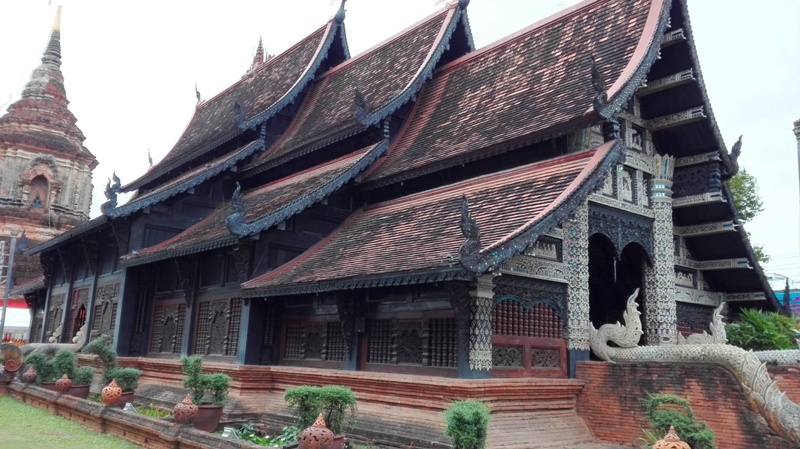 It was originally a Ho Kham, a throne room, for one of the kings of Chiang Mai. This is very beautiful temple with black wall and gold borders that make it very impressive and unique. It is wooden building constructed from teak panels set on a stone base. You can sometimes even see praying monks inside. 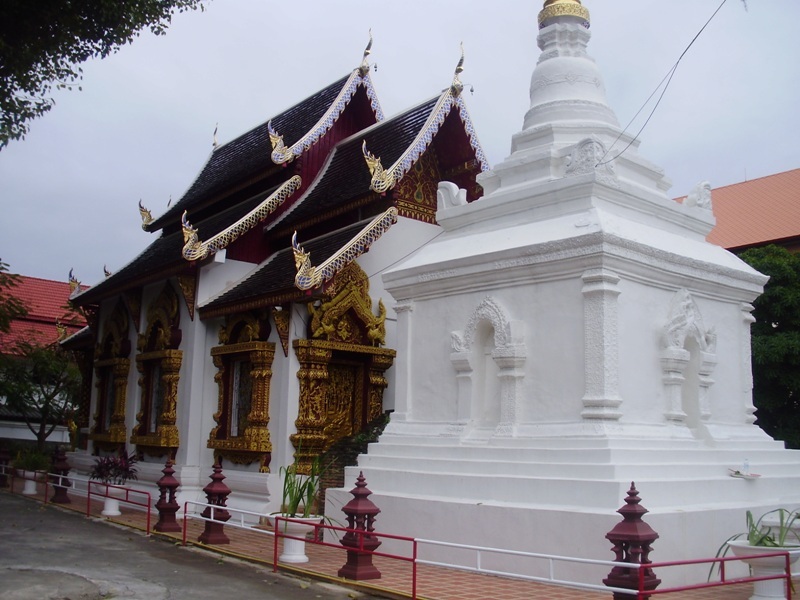 Wat Umong is located against the mountains of Doi Suthep and about 1 km south of Chiang Mai University. 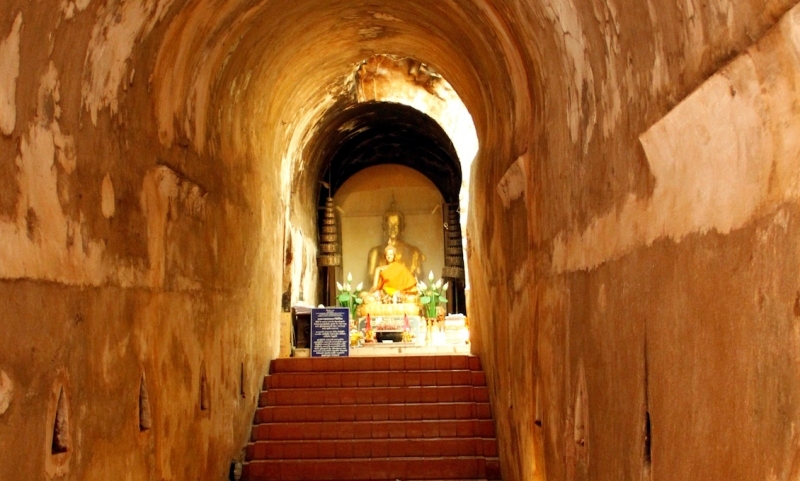 Wat Umong is famous for its ancient tunnels with Buddhist images below the chedi and large stupa. These tunnels were supposedly built by the King. 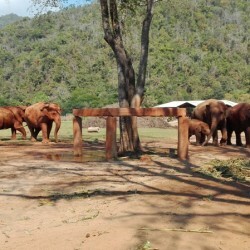 Temple is unique, because monks live in a very natural setting and set a small open zoo behind it. This temple was founded in 1502 and is situated next to the Wualai Saturday Walking Street Market. For me this small temple Wat Sri Suphan, also called Silver temple, was the most spectacular temple in Chiang Mai old town. 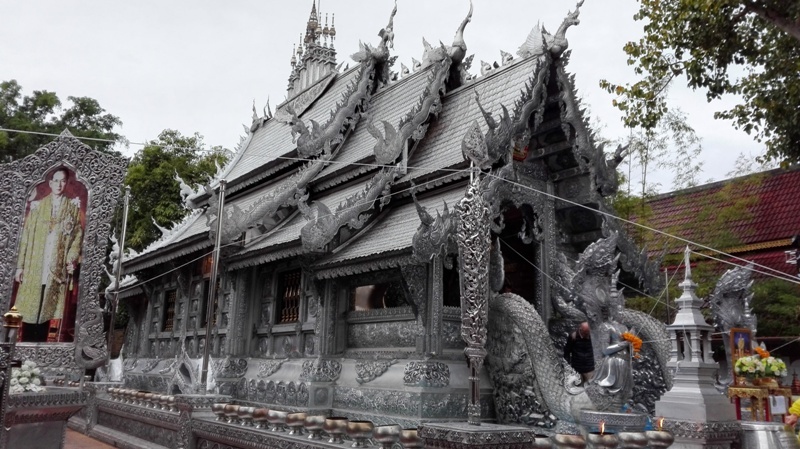 The temple is from the walls to the roof covered in silver, even the statues of Buddha. 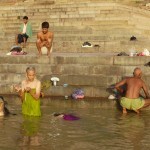 Due to old Buddhist rules women are not allowed to enter the inside of the temple. Each Tuesday, Thursday and Saturday from 17.30 to 21.00, visitors are able to converse with English-speaking monks in free monk chat sessions. 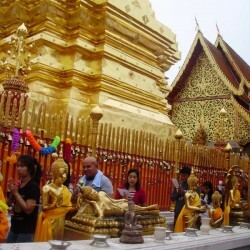 The Wat Phra That Doi Suthep is one of the most scared temples of Northern Thailand and is very popular among tourists. 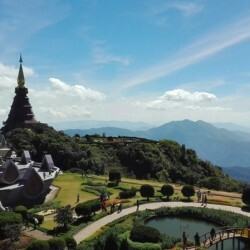 Temple is located on the mountains 15 km far from Chiang Mai and impressive views of the city can be seen from the top. 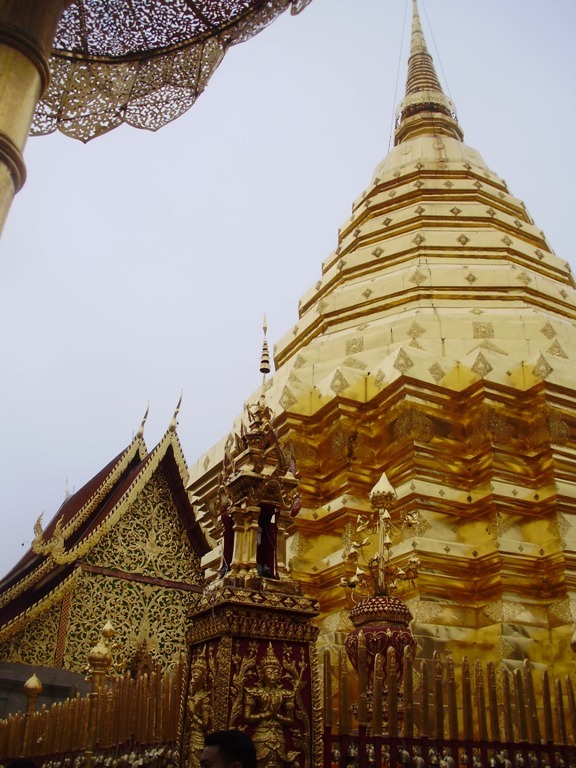 The most holy area of the temple grounds is original copper plated chedi. 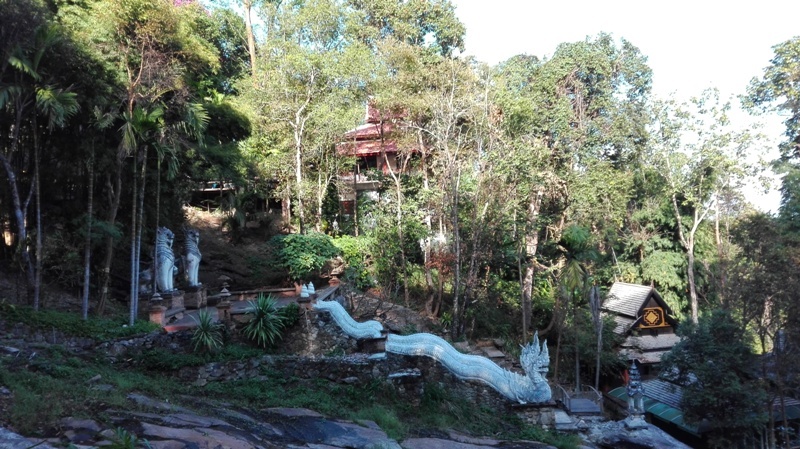 Wat Pha Lat is hidden temple located in the forest just a few kilometers down the road from popular Doi Suthep. 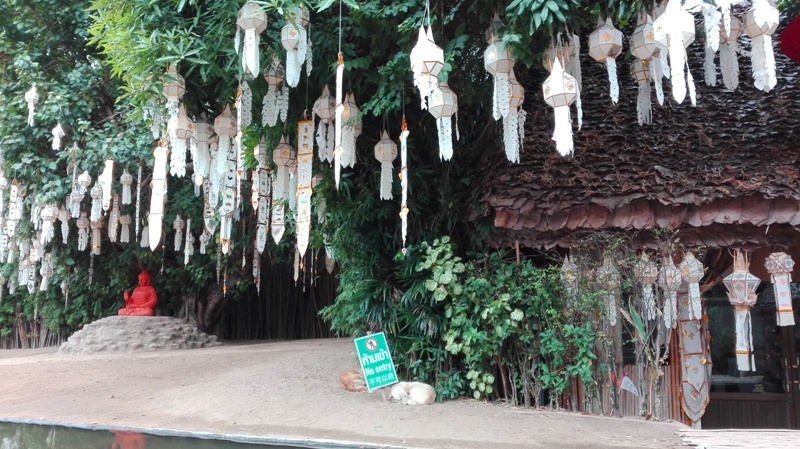 It is possible hike to the temple from Chiang Mai ZOO. 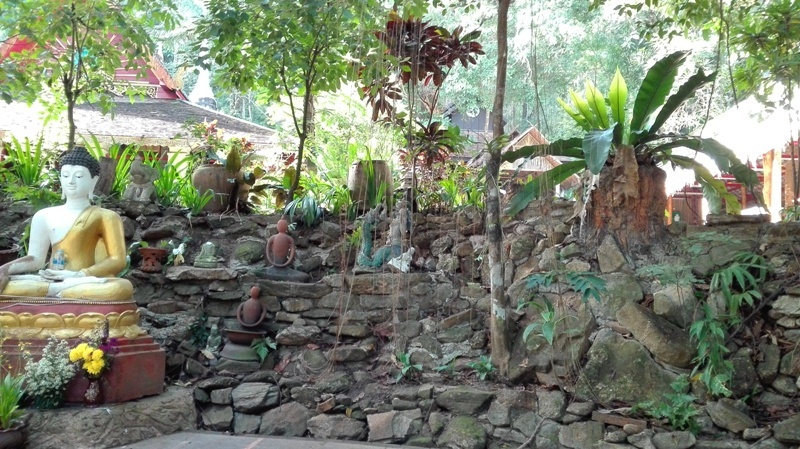 Originally Wat Pha Lat was a resting place for monks during their pilgrimage to the Doi Suthep. After the road was built in 1935, primary use is meditation site for monks. 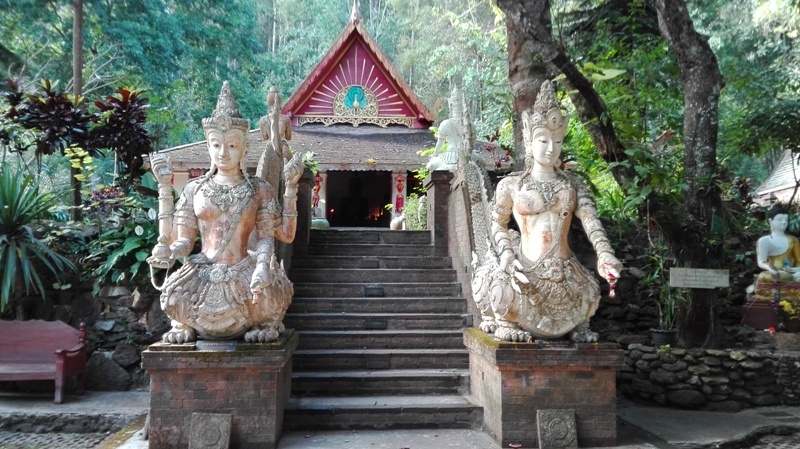 This temple is different like others in Chiang Mai because is seldom visited by tourists and there are many statues, places for meditations, waterfall, bridges, cave inside the area of temple. 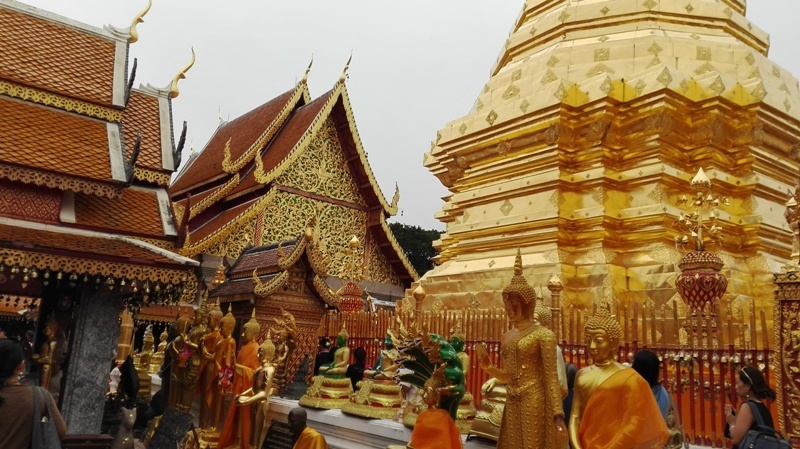 All temples except Wat Chedi Luang and Wat phra that doi suthep are free of charge. I recommend you to visit these temples in Chiang Mai, because they are most beautiful and most special from hundreds of temples in area.